The Cuisinart CCB-390 speeds up any grill cleaning chore. 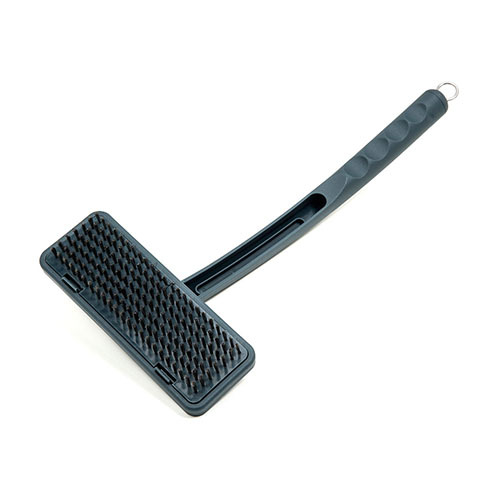 This brush features a 6.5" x 2" brush head to swipe across grill grime. Simple press and swivel the head to the attack mess the easiest way possible. The 15" handle keep hands far from the mess while the brush cleans up fast. The Cuisinart Swivel Grill Brush has many exciting features for users of all types. 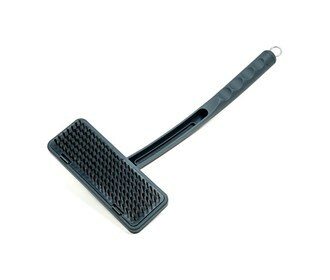 See the Cuisinart Swivel Grill Brush gallery images above for more product views. The Cuisinart Swivel Grill Brush is sold as a Brand New Unopened Item.